ON Semiconductor has announced a new range of ultra-low noise LDO regulators with the industry’s best power supply rejection ratio (PSRR), enabling better performance in noise sensitive analog designs. The new NCP16x series, along with the AEC-Q100 qualified NCV81x automotive variants, delivers improved performance in applications such as automotive ADAS image sensor modules, portable devices and wireless applications – including 802.11ad WiGig, Bluetooth and WLAN. 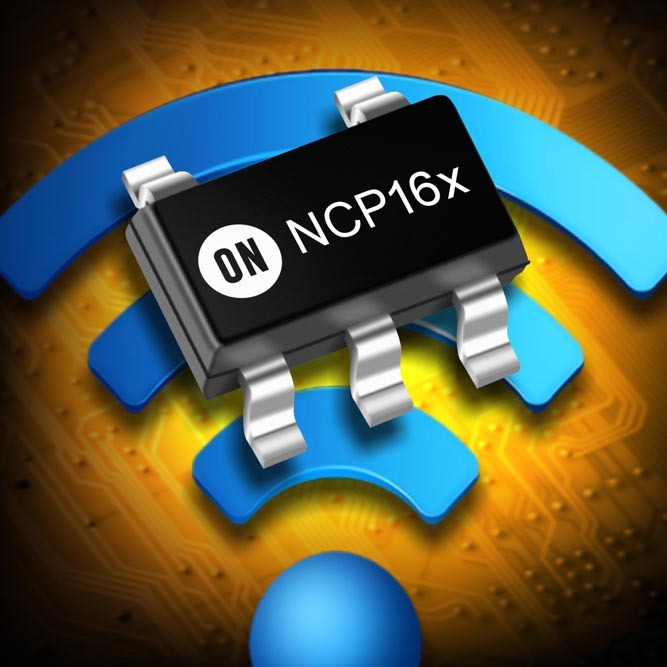 The NCP16x series comprises four devices with a wide input voltage range from 1.9 to 5.5 V to support a variety of end applications. Output current of 250 mA, 450 mA and 700 mA in a common package footprint enable easy scalability of designs. Ultra-high PSRR of 98 dB blocks unwanted power supply noise from reaching sensitive analog circuits, while ultra-low noise of 6.5 µV RMS eliminates the need for additional output capacitance. 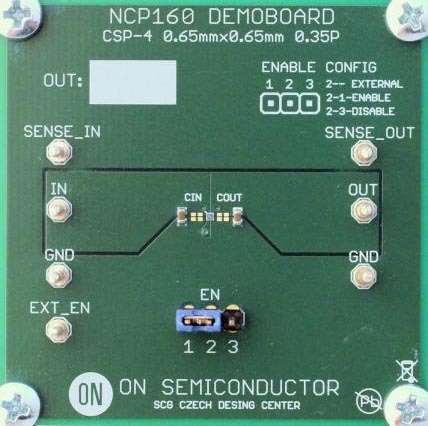 The NCP167 Power Supply Rejection Ratio vs. Input Voltage. The new LDO regulators have a low dropout voltage of 80 mV, supporting and helping to prolong the operating life of battery powered end products. This is further enhanced by a no-load quiescent current of just 12 μA. They are available in fixed output voltages from 1.2 V to 5.3 V with an accuracy of ±2% over the entire application range. Stable operation is achieved with only 1 µF of capacitance on the input and output enabling lower system cost and size. A new patented architecture is implemented to achieve the ultra-high PSRR performance and extends ON Semiconductor’s leadership position in this area. Providing high PSRR over a wide frequency range (10 kHz to 100 kHz) is important to end application performance. 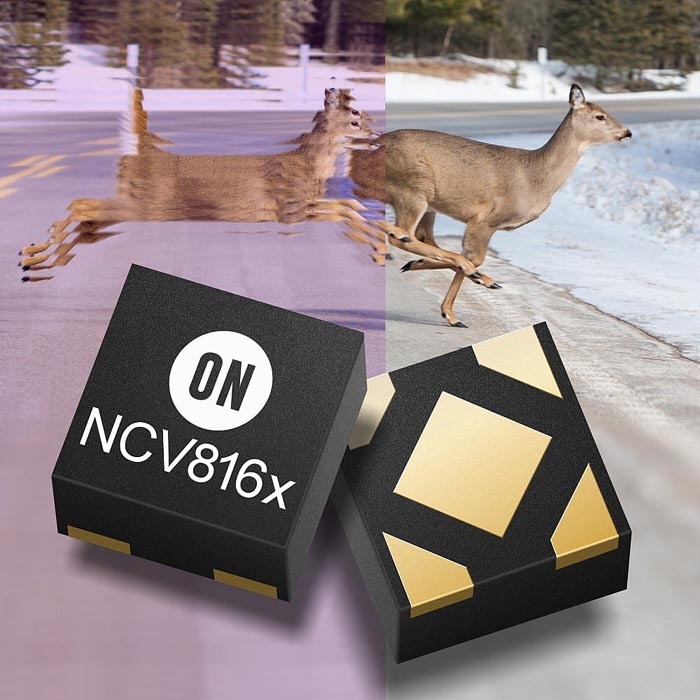 In image sensor applications for ADAS cameras, for example, the NCV8163 provides improved image quality by filtering out power supply noise that would otherwise corrupt the voltage signal applied to the pixel. In wireless applications such as WiGig 802.11ad, the combination of ultra-high PSRR and ultra-low noise as seen in the NCP167 ensure the power-per-bit efficiency capability of the system is realized by providing a clean power supply. High PSRR LDO Regulator Evaluation Board. NCP16x devices are available in TSOP-5, XDFN-4, and WLCSP-4. NCV816x Automotive variants are available in TSOP-5 and XDFN-4. All are suitable for modern high-density designs.